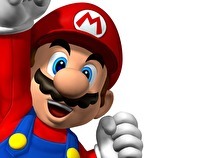 Nintendo was the best publisher of 2014, according to Metacritic's annual publisher rankings. With an average metascore of 76.5, the Big N was able to outpace Ubisoft and Electronic Arts, who came in second and third, respectively. The company's best overall release was Super Smash Bros. for Wii U, while its lowest-scoring title was Chibi-Robo! Photo Finder. The hotel originally hosting the event is in for a world of trouble. The Super Smash Bros. tournament at Apex 2015 has had to chance venues due to safety concerns at the original location. Fire marshals had to shut down the event and evacuate all of the attendees because of damage to the hotel that was caused by a recent storm. "Sorry competitors, the fire marshals have put a hold on the tournament. We are having an emergency meeting and will keep every1 updated," Team Apex said on Twitter. 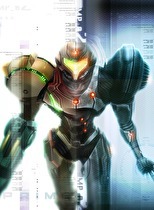 Not one, but three Metroid games out for you to enjoy this week! A few hundred employees are being offered voluntary retirement. 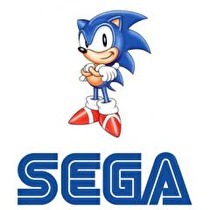 SEGA is undergoing some restructuring, as its American-based office is being relocated from San Francisco to Southern California. Approximately 300 employees are being offered voluntary retirement, as the house of Sonic aims refocus the company's efforts on digital and PC. Total comments: 2 Source: Warner Bros.
LEGO Jurassic World and LEGO Marvel Avengers have been announced for Wii U and Nintendo 3DS. The Jurassic World title, which Warner Bros. has confirmed arrives this June, is set during the first three movies and continues into the upcoming fourth film. The upcoming Wii U RPG from Monolith Soft is quite massive, according to Famitsu. New gameplay details from the upcoming Wii U RPG Xenoblade Chronicles X have emerged in the latest issue of Famitsu. 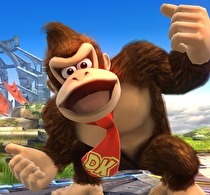 Surprise of the century: Smash Bros. and Mario Kart sell well. 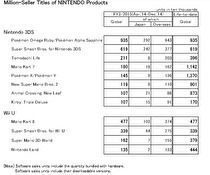 A list of Nintendo's top selling titles of 2014 has been released, with Pokémon Omega Ruby/Alpha Sapphire and Mario Kart 8 topping off their respective platforms. Additional 8-player Smash stages have been included. A new update for Super Smash Bros. for Wii U has been released, and the main highlight is the inclusion of several 8-player stages. While it's coming to Japan this summer, the next Fire Emblem's release time frame elsewhere is a little more aloof. The new Fire Emblem game for 3DS has no set release time frame outside of Japan according to Nintendo's latest financial results briefing. The game, revealed at the January 2015 Nintendo Direct, is slated to come out in Japan this summer. Previously, Nintendo of Australia listed the new Fire Emblem game as a 2015 release in an email. When it was revealed at the Nintendo Direct, no release window was given outside of Japan. YouTube creators who make Nintendo content can now bypass the ContentID system... sort of. Nintendo has officially launched the Nintendo Creators Program, an ad-revenue sharing system for YouTube users who use Nintendo content or music in their videos. Have hope! It looks like the game hasn't been scrapped yet. Shin Megami Tensei x Fire Emblem appears to still be in the works over at Atlus, according to Nintendo's latest earnings release. While we haven't heard a thing about this game since it was first unveiled in January 2013, the Wii U-exclusive crossover is still included in Nintendo's launch schedule. There's no release window for the game, however, so don't expect it to hit store shelves anytime soon. Considering Wii U's install base, that's not too shabby. Hyrule Warriors, the Wii U exclusive hack-and-slash action game from Koei Tecmo, has shipped over one million units worldwide. It's important to note that this figure is in regard to shipments to retailers, not sold through to consumers. Still, over one million is nothing to scoff at, especially when considering how small Wii U's install base currently is. You won't be creating Mario levels in the first half of 2015 anymore, though you should still be playing as Yarn Yoshi then. Mario Maker, the Wii U game where you can make your own side-scrolling Mario stages, won't be coming out in the first half of 2015 anymore. In October, Nintendo listed Mario Maker as being released in the first half of 2015. As of Nintendo's latest financial results briefing, Mario Maker is just slated as a 2015 release, implying it won't be out until the second half of the year. Sales figures spark more insight into the near future of Wii U.
Nintendo President Satoru Iwata recently discussed Wii U's future with Japanese website Sankei, saying the console's life is "not over yet," in the English translation. Speaking with Sankei, he stated that more unannounced Wii U titles are due out from Nintendo in 2015. This comes after the announcement of the company's Q3 sales figures, which saw a rise in Wii U units sold, but a decline in 3DS sales. Nintendo is in the black as far as profits go. Nintendo has remained profitable in the third quarter ending December 31, but 3DS hardware sales are way down. Going to the premier Smash Bros. tournament this weekend? You can play some Splatoon there, too. Splatoon will be playable at APEX 2015 this weekend in the Nintendo Lounge. Folks going to the event, taking place this weekend in Secaucus, N.J., can play the four-vs.-four multiplayer that was previously shown off at E3 2014. The version of Splatoon playable at APEX will be the same E3 build. The latest game from Renegade Kid is coming to Nintendo platforms. Mutant Mudds Super Challenge, the latest game from developer Renegade Kid, is coming to both Wii U and 3DS. According to studio co-founder Jools Watsham, Super Challenge is a brand-new game that comes with a whopping 40 levels. Additionally, he notes that "Mutant Mudds Super Challenge does not replace Mutant Mudds 2. Think of it as more of a delicious stepping stone of fun and challenge." Beating out the likes of Electronic Arts and Ubisoft. Nintendo was the number one publisher in France last year. 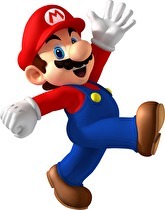 Thanks to the soaring popularity of games like Pokémon Omega Ruby and Alpha Sapphire as well as Amiibo, the house of Mario was able to dominate 2014. In fact, eight of France's top 20 selling games of last year were Nintendo-published titles. 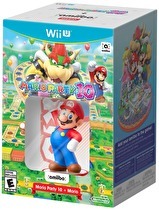 For a limited time, North Americans will have to buy the game bundle if they want the new SMB Mario. The new Mario figurine that's included in the recently unveiled Super Mario Bros. Amiibo line will be temporarily exclusive to the Mario Party 10 bundle in North America. Over on Amazon, a listing for the upcoming Wii U party game confirmed the news. “For a limited time, the only way to play with the Mario Party Mario amiibo included!” the description for the bundle reads. It will make use of the New Nintendo 3DS' unique capabilities. Brian Provinciano from Vblank has given us a tease for the upcoming Retro City Rampage: DX update. On Miiverse, he talked about notable functionality changes, and particularly for the New Nintendo 3DS.